I read, and listened to, a lot of advice in the build up to the big day. Most of it, especially the stuff about not going out too fast, I heeded. I took my own sweet time over the Verrazano and found a good groove from the outset. I also saved a lot of energy by not fighting the pack — another piece of wisdom I had learned weeks before. I deliberately hung back, telling myself that I would pass everyone later. Of course, their advice to be calm is completely sensible, and I certainly did everything in my power to not get carried away. But once I made the turn off the bridge and onto Fourth Avenue, the crowds appeared and made their presence felt for long stretches of the race even before we crossed over the East River. Tuning them out was not possible, even if I wanted to. And I didn’t want to. So, I drew on my experience to keep my cool, kept the steady groove going, and every once in a while, moved over to the side of the road to high-five a couple of kids, thank a couple of cops, or laugh at the spectators’ signs and soak in their encouraging shouts. Tessa and my son Will had told me they would try and see me somewhere around mile five, but picking them out in the crowd was impossible. After a couple of miles, I gave up and began focusing on the road ahead. It was then I became conscious of seeing the imposing Williamsburg Savings Bank Tower in the distance at the end of Fourth Avenue, a cool throwback to the 1920s and the first of several surprises that Brooklyn had in store. In quick succession, there followed a brief but memorable jaunt down the narrow Lafayette Avenue, where the course got crowded and the exuberant crowds felt like they were running with you, and a hysterical, spontaneous moment somewhere in Williamsburg, where a local DJ got me and several hundred of my fellow runners to pump our hands up in the air in unison. Meanwhile, I was running alongside inspiring blind runners being led by their volunteer guides, beside mothers and fathers pushing physically challenged children in running strollers, past wheelchair athletes who would go on to finish in the dark, long after I would be tucking into my burger. Truly, each minute of the race seemed to have some new revelation in store. 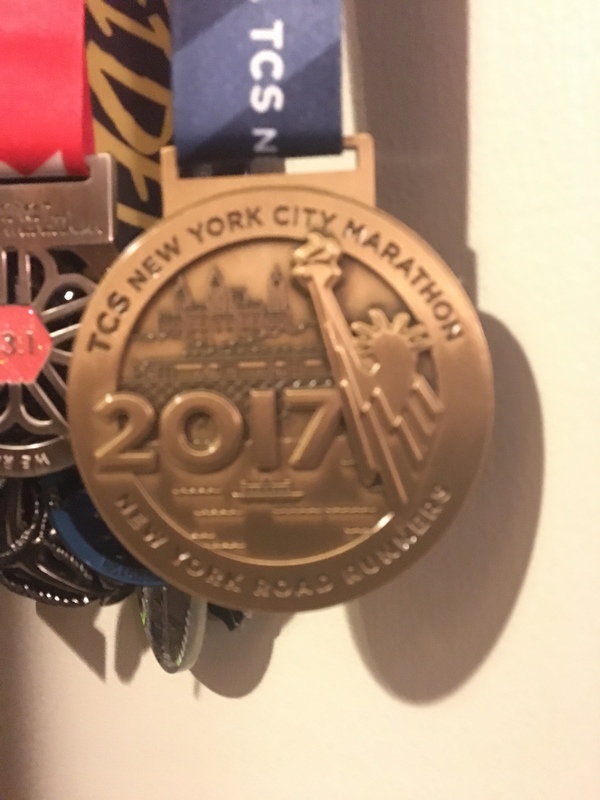 Before I knew it, we were past the halfway mark, over the Pulaski Bridge and making our way up the on ramp onto the Queensboro Bridge, where I found that every word uttered about this part of the marathon is absolutely true. At first, all I could hear was the “clop, clop, clop” of hundreds of sneakers on asphalt, punctuated only by the sounds of runners breathing. No one said a word, not even those walking to take a breather before the final push. We got to the midway point above Roosevelt Island, and faintly at first, I heard the noise of people cheering. With each footstrike, the cheers got louder and louder until they became a deafening roar. And then, there I was, making the turn off the ramp in front of hundreds of spectators lined up, five or six deep, on 59th Street. As a musician, I’ve had a few amazing moments in front of large crowds, but never have I experienced the kind of euphoria I felt at that moment. The crowds continued onto First Avenue, where all of a sudden it dawned on my that I was now running in the middle of one of the busiest thoroughfares in New York City. I smiled at the thought, then started to push a little, knowing that I couldn’t put my foot on the gas too much just yet. But now I was less than ten miles out, feeling strong and full of energy. And a brief glance at my watch told me that a sub-four-hour finish was still in the realms of possibility. I gutted out the remainder of First Avenue and the turnaround in the Bronx, then with less than five miles to go, I upped the pace for the final push through Harlem and Central Park. For a while, it looked like the strategy was working, but by the time we reached the Fifth Avenue hill just past Central Park North, I could feel that my kick wasn’t going to be enough. I still had energy, and I knew I had enough in me to finish strong. But top gear — the kind I found toward the end of my last long run — just wasn’t there. The four hour mark was closing in too quickly. As if that wasn’t enough, the race saved up all the real drama for the last couple of miles in and around Central Park. First, at the E86th Street entrance to the Park, I almost ran into a woman who had decided to cross Fifth Avenue without even bothering to look out for runners. She was roundly, and rightly, chewed out by one of New York’s finest. Then there were the three spectators who were so excited to see their runner friend that they leaped out in front of me to take a selfie with her. There was also the runner who leaped out from the last water stop on Central Park South without looking and almost wiped us both out. And finally, with less than a tenth of a mile to go, there was a course marshal on a bike that rode too close to me and kept cutting me off from all the angles that I wanted to run to shave a second or two off my final time. In the end, these minor catastrophes didn’t add up to anything — after all, I had missed my goal by over two minutes. But on the long walk from the finish line to meet up with Tessa and Will, nothing could wipe the smile from my face. I had just run one of the best marathons of my life on the most iconic course in the whole of long-distance running, and the clock was just one, minor brush stroke in that very complex picture. Later, over the burger and beer, I reflected on what an amazing journey these races have taken me on so far. They’ve taken me down city streets and along rural trails, through a winter blizzard and through searing summer heat, and now through one of the greatest cities in the world. Along the way, I’ve been tested and fallen short. I’ve also risen to the challenge and been amazed at the results. And now, with the echoes of the cheering New York crowds still echoing in my ears, I wonder where they are going to take me next. 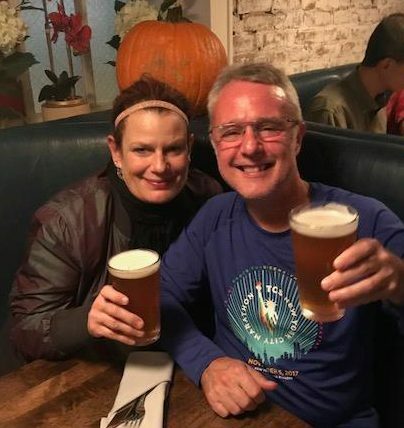 This entry was posted in The Flat-Footed Fox, Vagabond Shoes and tagged Brooklyn, long-distance running, Manhattan, Queens, TCS New York City Marathon, The Bronx. Bookmark the permalink.